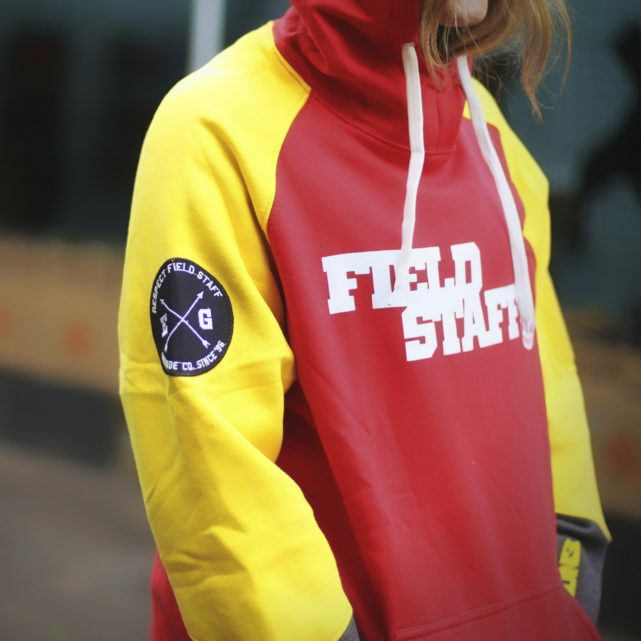 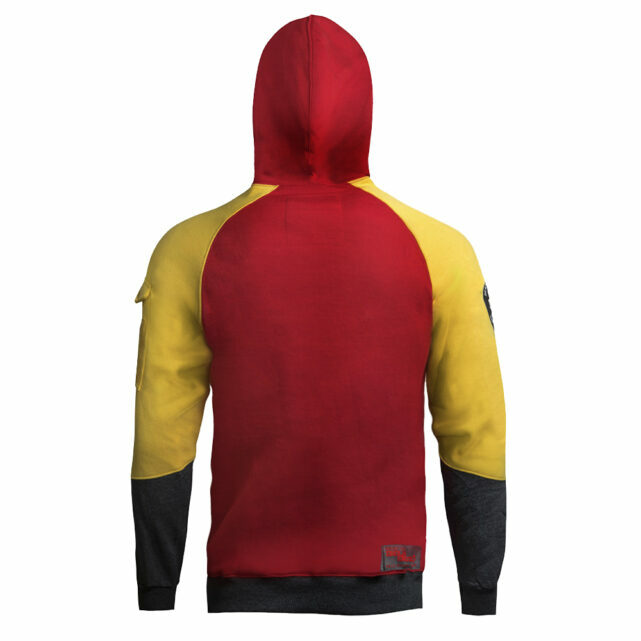 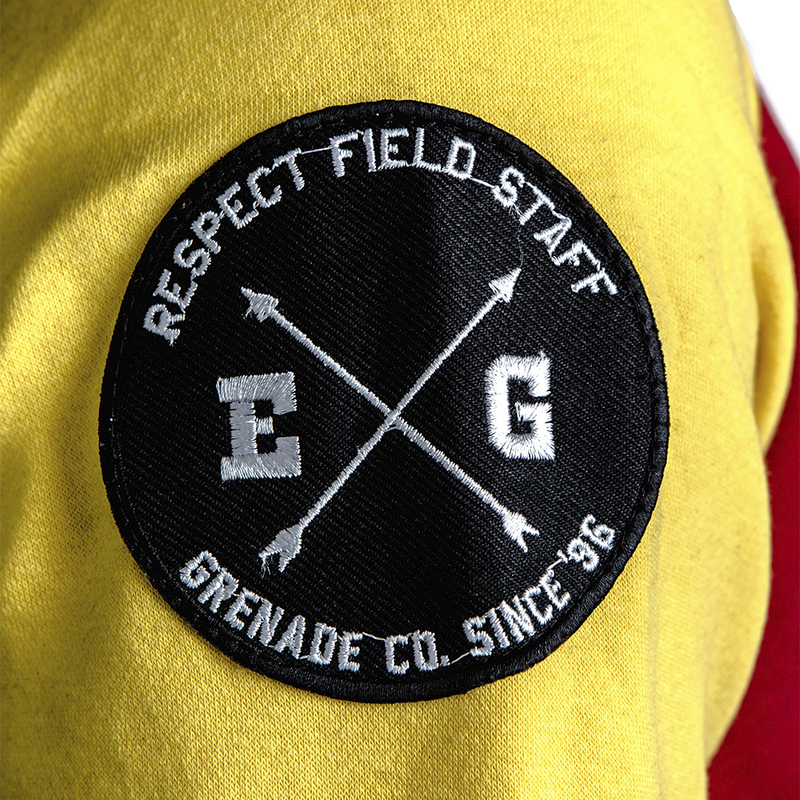 Field Staff Marshall Hoodie Red / Yellow - EG Grenade Co.
With colours like this it’s nearly impossible to take stray shots, however we can’t speak for disgruntled players taking aim because they are jealous of your downright cool threads. 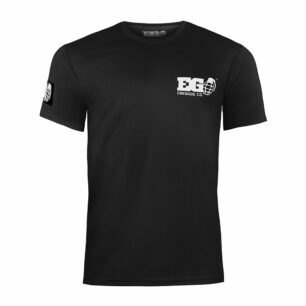 Cut with grey cuffs and hem to hide some of the dirt that you pick up herding the angry players waging combat against each other. 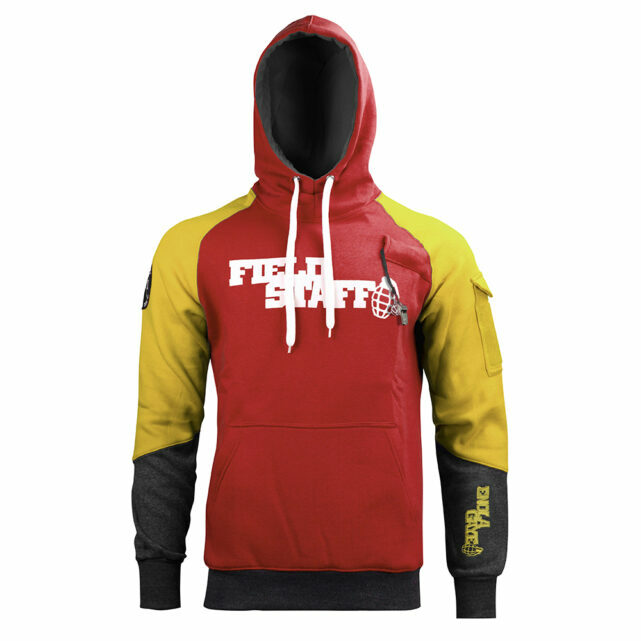 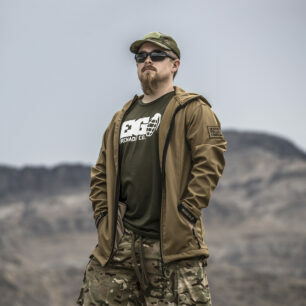 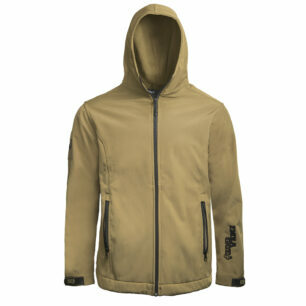 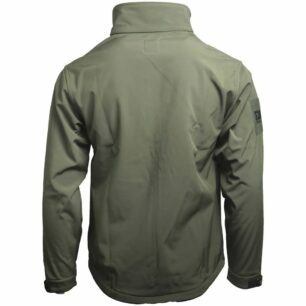 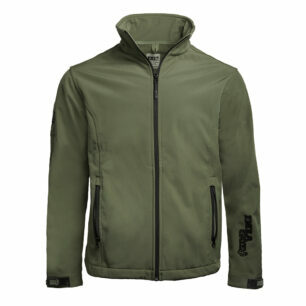 The Field Hoodie has a built in super loud whistle in a secret pocket just below your chin. 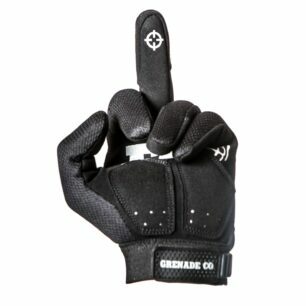 No excuse for losing your whistle now and more importantly no-one else gets to blow their germs through your game starter. 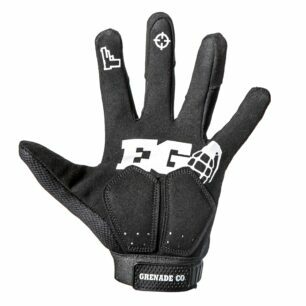 High collar and thumb holes are the norm here.